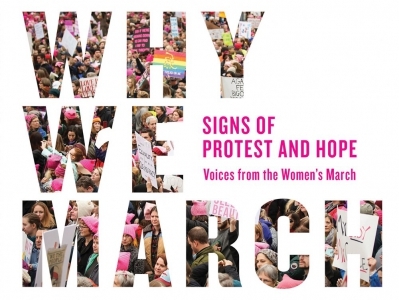 On January 21, 2017, over 5 million people in 673 cities around the globe gathered in solidarity for the Women’s March, carrying signs that shone with unwavering hope and determination and demanded the protection of women’s rights, opposed the newly inaugurated U.S. president, and championed equality and justice for all. Why We March presents 300 of the most powerful, uplifting, clever, and creative signs from these marches. “Nasty Women Unite.” “Make America Think Again.” “Build Bridges, Not Walls.” “Girls Just Wanna Have Fundamental Rights.” “Love Trumps Hate.” “A Woman’s Place Is in the Resistance.” These images--featuring messages about reproductive rights and cabinet picks, immigration and police violence, climate change and feminism--together paint a striking portrait of resistance, despair, humour, and most of all, hope. 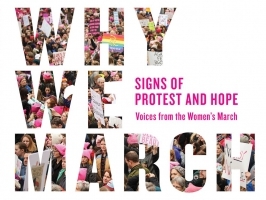 This book will serve as a rallying cry for this burgeoning movement, and a valuable and timely encapsulation of an unprecedented moment in political history.